Anaphylaxis in children can hit anywhere demanding emergency management out of hospital setting and away from home; at schools, day care centers, socials, camps or parties. Incidence of anaphylactic reactions is rising; statistics vary from 0.03 to 1.0%. 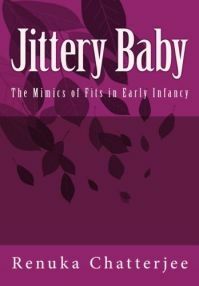 It can occur in child not known to be allergic or in one who has had it earlier. 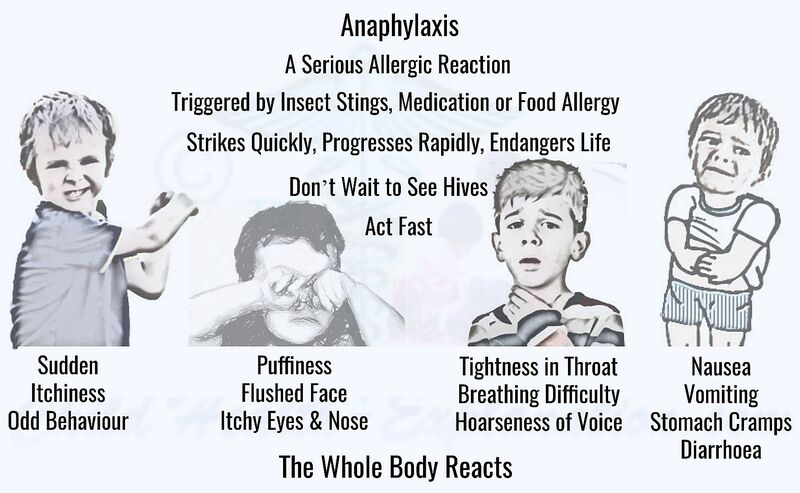 Anaphylaxis is a severe form of allergic reaction that is usually triggered by food allergy, insect bite or medication. But anaphylaxis in children can occur due to several other allergens, and often the offending allergen goes totally unrecognized. Even the life-threatening allergic reaction, anaphylaxis in children often goes unrecognized even by the adults in charge of them. Prompt recognition and efficient first aid field management of anaphylaxis saves lives. How to recognize anaphylaxis reaction? Hives and flushing of skin. Lips and tongue get swollen and congested. Persistent gastrointestinal tract symptoms; abdominal cramps and vomiting. Breathing difficulty, stridor and bronchospasm leads to severe wheezing, reduced peak expiratory ﬂow and poor oxygen saturation as seen by pallor or bluish discoloration, cyanosis. Fall in blood pressure follows that leads to confusion, low level of consciousness, syncope and end-organ dysfunction. During your child’s birthday celebration, you wouldn't want her friend to die of anaphylactic shock. It is therefore important to be familiar with the signs, symptoms and simple emergency management of anaphylactic reaction in children. The professional medical help is often not at the spot when anaphylaxis reaction hits. Learning and implementation of simple first aid field management of anaphylaxis will prevent untimely demise of children with anaphylactic reaction. Recognize that child is seriously unwell. Do not delay treatment in finding offending allergen or complete medical history. Have Epinephrine (Adrenaline) autoinjector within easy reach: Adrenaline therapy is life-saving, administer it even if in doubt. For more information on use of adrenaline autoinjector click here. 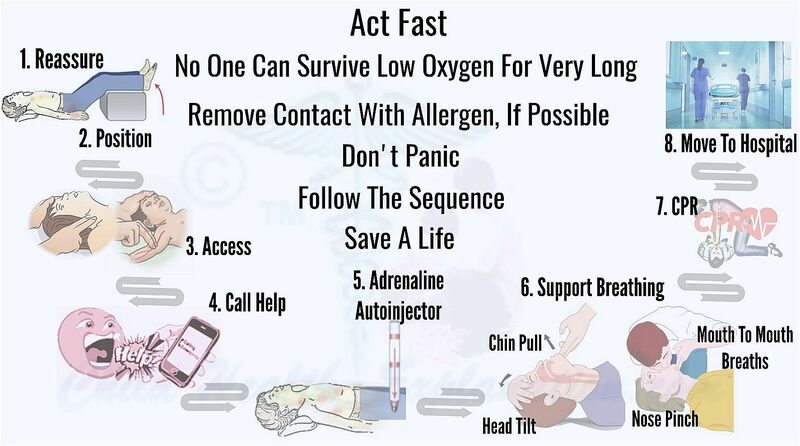 Assess and carry on emergency management based on basic life supports principles, but after the first adrenaline dose. Promptly inject epinephrine on appearance of any 2 or more signs in rapid succession after exposure to allergen. Do not wait to see all the above signs to diagnose anaphylaxis in children. Delay in epinephrine administration can risk the life of the child. Nor is it essential for hives to appear to call it an allergic reaction. 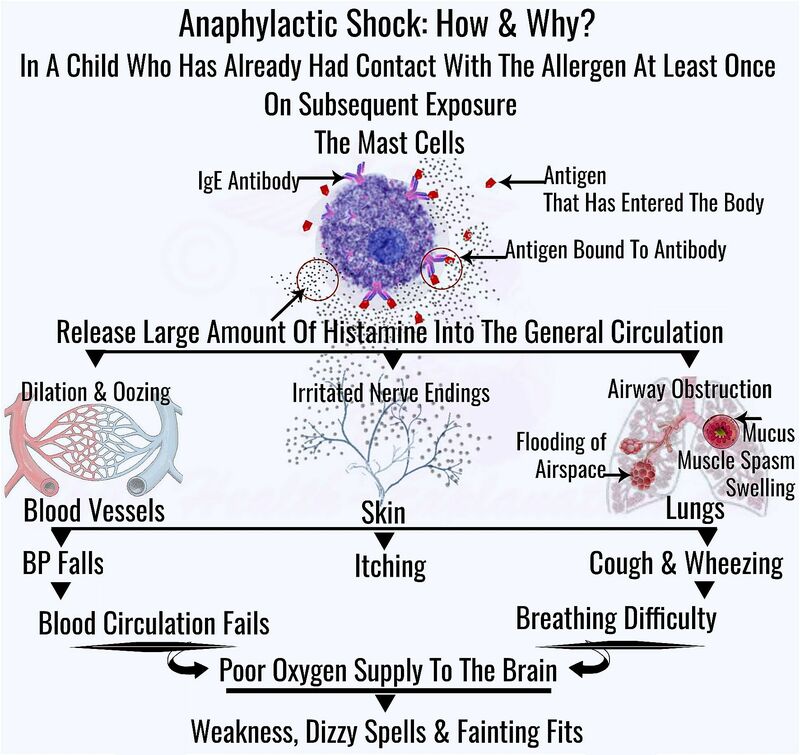 Child can get anaphylaxis even in absence of urticaria (hives). Antihistamines cannot replace epinephrine to treat anaphylaxis. Nevertheless, they do supplement in treatment of an allergic reaction. Nebulization with bronchodilators to ease bronchospasm can be used as an adjunctive therapy. Preserve all medications at temperature recommended on their label. Do not use medications that have crossed the expiry date. Frequently check the expiry date mentioned on the label of each medication and replace the near expiry medications in good time. Dose recommended and instructions for use of medications and medical equipment should be carefully obtained by local medical practitioner in charge. Child with breathing difficulty may prefer to sit up as it make breathing easier. To prevent choking hazard Unconscious child who has spontaneous breathing should be made to lie on their side; recovery position. Clear the allergens that are in immediate contact with the affected child: Do not delay epinephrine shot and other basic life supports in effort of removing the allergen. In case of insect bite remove the stinger as quickly as possible irrespective of the method used to remove it. In case of food-induced anaphylaxis, do not attempt to make the child vomit; remove only the allergens that are in contact of eyes, skin or in mouth. If child was on any medications or antibiotic previous to the anaphylaxis, stop it till further professional medical evaluation.